BooBooSNAP! was concocted in a local, first of its kind, 2-day game jam event. 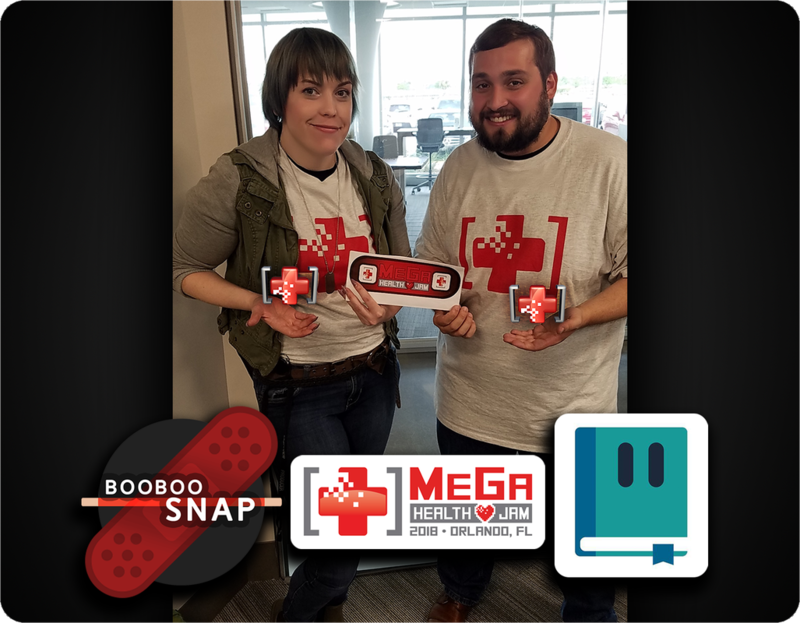 The jam brought together healthcare providers, both close and afar, to work side by side with Orlando's indie-dev community and create healthcare related games and applications. "The team comprised of James Gaiser, Producer (The Beauty), and myself (The Brains)." I've been to countless game jams over the past several years, and I always love to get away from the normal work environment and try something I've never done before. This time around I was keen on participating in this jam as technical designer, because I had never had the chance to contribute as a programmer. So imagine my surprise when I later found myself creating every part of this bandage prototype on my own. BooBooSNAP! has been featured in several media outlets since the initial game jam ended! We made it to the evening news!